The book is about the unseen war between good and evil, with all of humanity at stake and the faith it takes. With the angels unending cry for help, Ellen Wefler’s first creation, “Ascending Angel,” introduces a human angel named Sara Walker. Sara was created to help the archangels defeat the mighty Lucifer, providing balance for Heaven and Hell and convincing the Almighty that humanity is not lost. Dear Sara, young and inexperienced, is provided help in the form of Seth, her friend and protector. Sara must learn her purpose in the world, while protecting her secret until she fully understands the depth of her power. Similarly, the archangels also have no idea to what extent her powers can muster, only that their prayers were finally answered and she must be developed quietly. Seth is also on the path to discover his capabilities and special abilities, and how it may come in mortal conflict with Sara’s mission. Although Seth is her best friend, conflicting emotions and circumstances pave a widening path that will challenge their relationship, and the future of our world. This novel is one of great adventure and discovery. 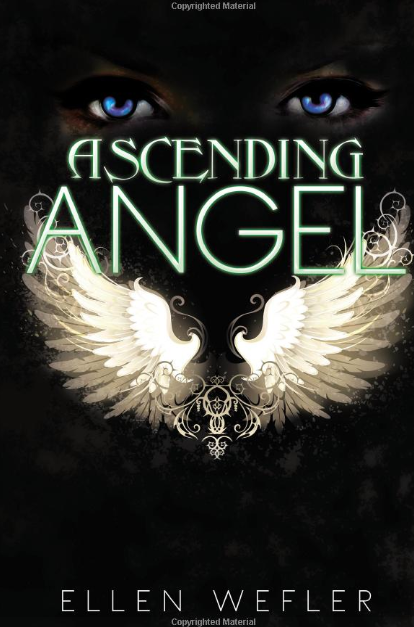 Grab a copy of “Ascending Angel” at the upcoming 2019 LA Times Festival of Books on April 13–14, 2019.